In a remarkably prophetic report, the Department of Homeland Security’s Office of Intelligence and Analysis issued a warning to Virginia State Police and police in Charlottesville three days before the deadly August 12 rioting that violence was likely to escalate to a new level at the pre-planned event. The Aug. 9 report by the DHS Office of Intelligence and Analysis was done in coordination with local, state and federal authorities at the Virginia Fusion Center. 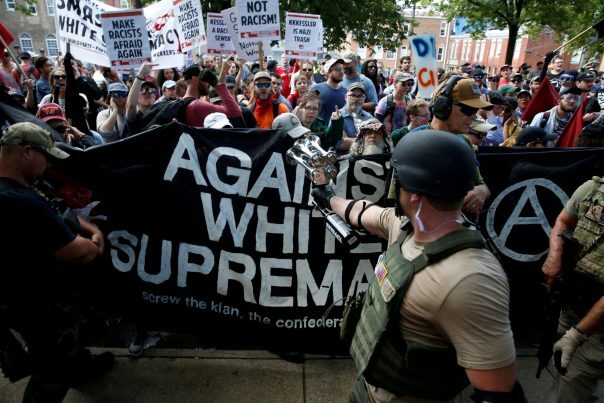 It stated that white supremacists and anti-fascist “Antifa” extremists had clashed twice before in Charlottesville, at a white nationalist rally on May 13 and a Ku Klux Klan gathering July 7. At each event, “anarchist extremists” attacked protesters who had been issued permits, leading to fights, injuries, arrests and at least two felony charges of assault and battery. In the days and weeks leading up to Charlottesville, DHS analysts were seeing signs of gathering storm clouds, as both sides were clearly gearing up to do battle with one another. “Anarchist extremists and white supremacist extremists online are calling on supporters to be prepared for or to instigate violence at the 12 August rally,” warned the assessment. Three days after the assessment was issued, combatants from both groups — many of them armed — began to assemble at the park, which was renamed from Robert E. Lee Park in June. The “Unite the Right” rally involving some white supremacist groups sought to protest the city’s planned removal of a statue of Lee. “It is unconscionable that with so much advance notice of the declared intentions of extremist groups from the Left and Right vowing to descend upon Charlottesville that law enforcement was not better prepared,” James Gagliano, a recently retired FBI supervisory agent, told Politico. What this assessment says, however, has potentially deadly implications far beyond Charlottesville — and its warning that all Americans who are concerned about losing their country should be concerned about. One cop told me it may just be that the two sides will just have to fight it out and get it out of the systems before anything improves. That’s about as clear a warning as you will ever get that the civil society of America is under assault and at risk of collapsing.